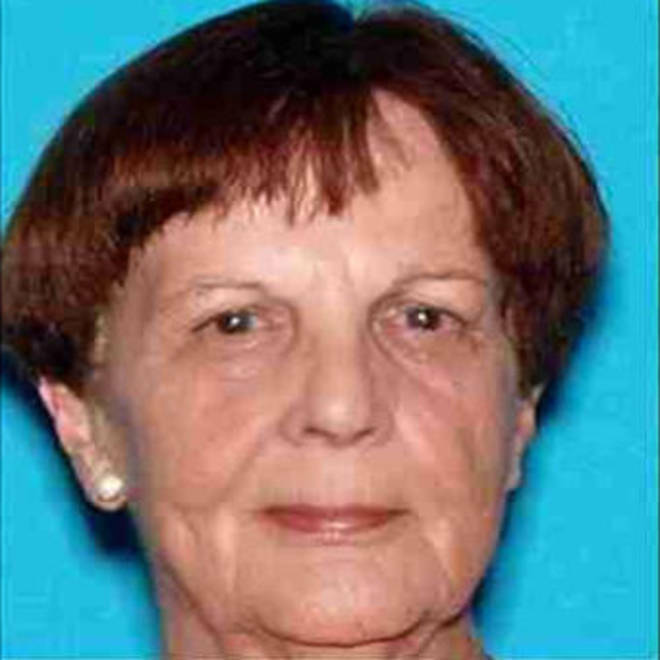 Mary Beth Blaskey, 76, who was found dead by one of her sons Nov. 14 in San Bernardino, Calif.
Police on Monday are planning to announce rewards of $10,000 for information leading to the resolutions of the killings of three elderly women in San Bernardino whose cases might be linked. The women were found dead in their ransacked homes in San Bernardino, police said. In at least two cases, items were taken from the home, police said. On Nov. 14, one of the sons of Mary Beth Blaskey, 76, found her body inside her North Fremontia Drive home when he stopped by her house to give her a ride to the doctor’s office. Someone stole her Lexus, TV and computers, police said. Blaskey’s youngest son, Gunner, said he wants justice but won’t be satisfied by the police announcement Monday. The body of Wanda Lee Paulin, 86, was found on Dec. 12, 2010, inside her home in the 5000 block of Mountain View Drive. She was discovered by a relative who went to check on her when she didn’t show up for church, according to the San Bernardino Sun. Paulin was a bookkeeper for more than 23 years at the First Presbyterian Church in San Bernardino, according to a neighborhood newsletter called The El Chicano Weekly. The church website on Saturday urged congregants to sign letters of support to Gov. Jerry Brown to release reward money from the state to help solve her case. The church said it was offering pre-written letters and access to laptops and stationery for those people who want to write their own letters. Susan Hassett found the body of Josephine Kelley, her 90-year-old mother, in the 2800 block of Muscupiabe Drive on Sept. 15, 2005, the Sun wrote. No details about how the women were killed were released, nor would police say whether they were killed in a similar manner.